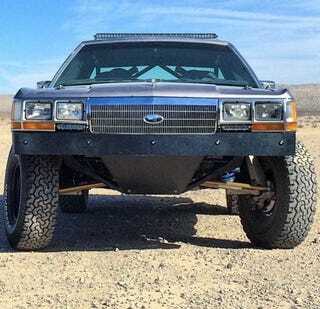 Somebody built an old Crown Vic into trophy truck. Thought you guys would appreciate seeing this. It’s powered by an LQ9 (the truck version of the LS engine) and has 13 inches of suspension travel. More pictures here.